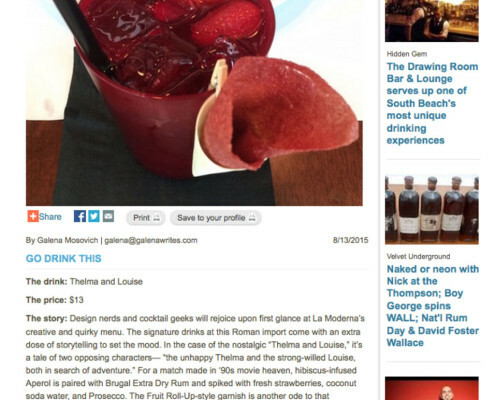 Eat and Drink Like a Roman! 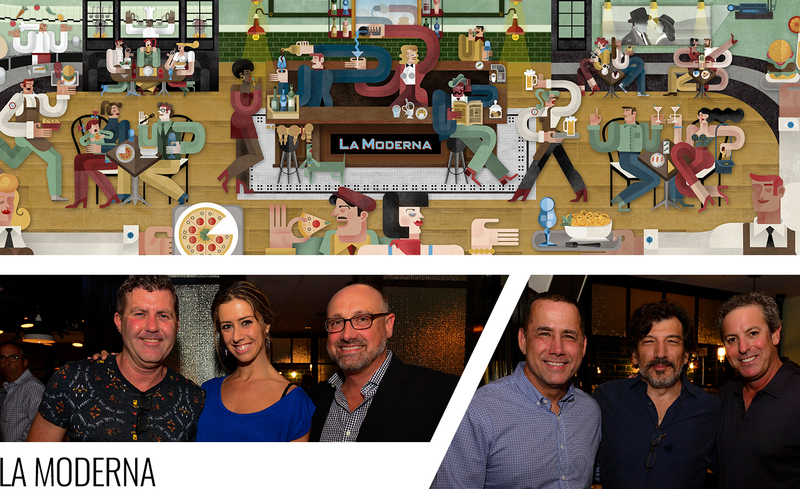 Born in the once-working class, now fashionable Testaccio neighborhood of Rome, La Moderna artfully combines a full menu of modern Italian classics from la cucina (the kitchen), skillfully crafted cocktails and pizza, served in a sophisticated and lively space, with more than a touch of Italian flare. 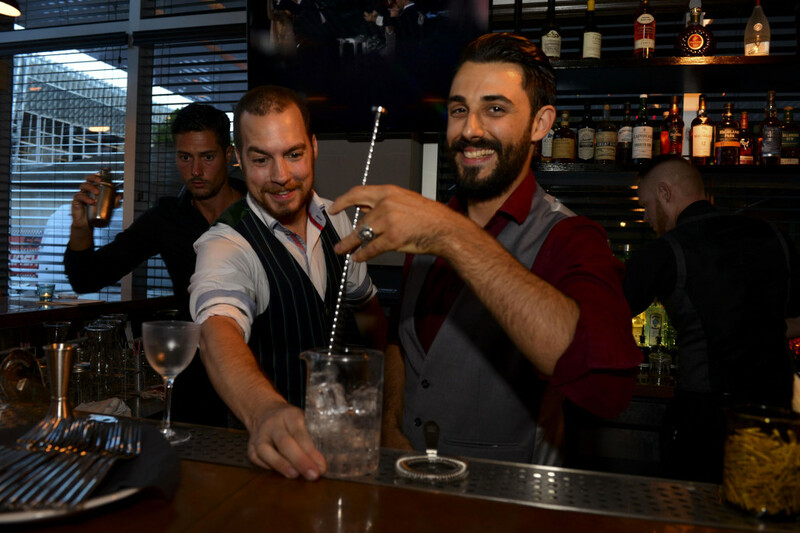 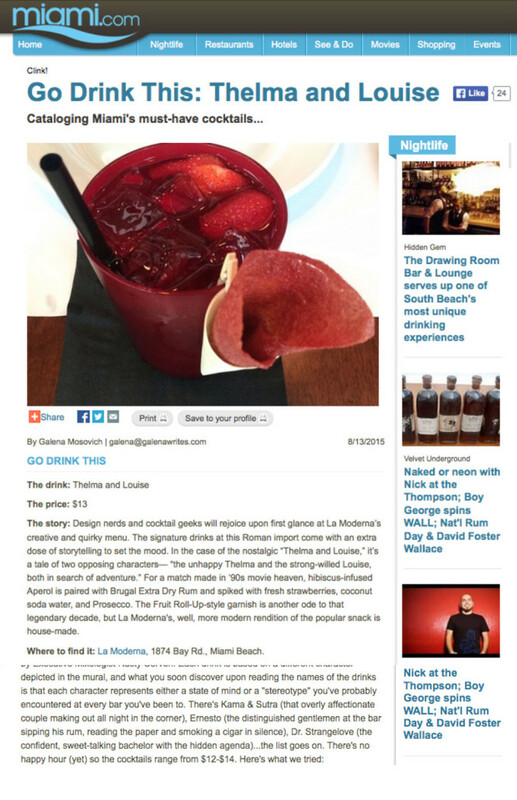 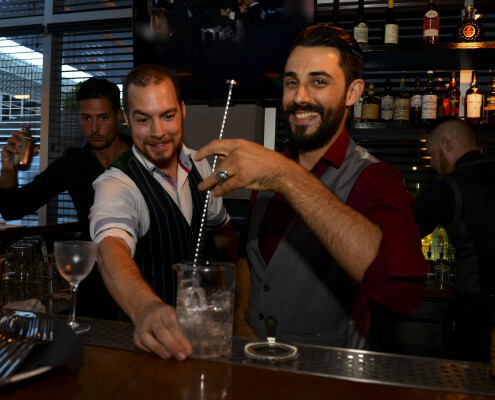 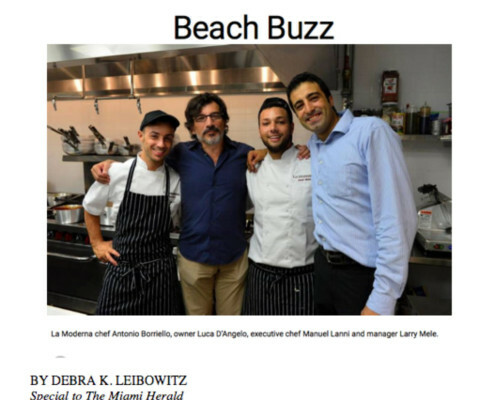 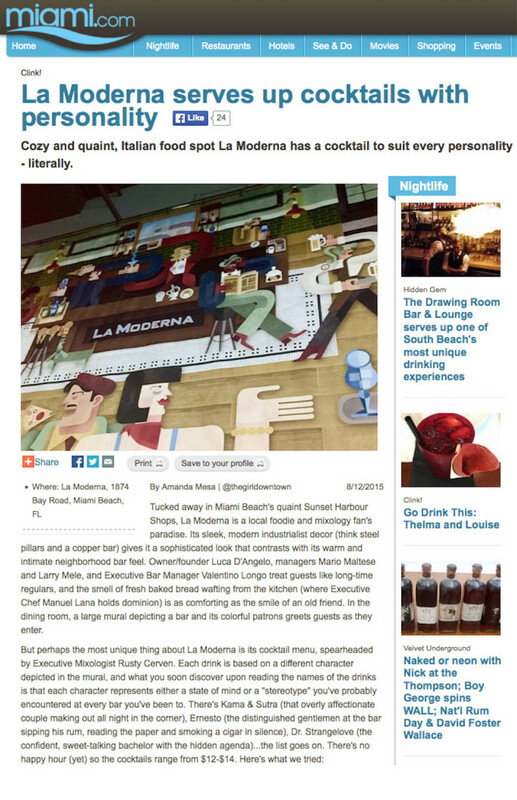 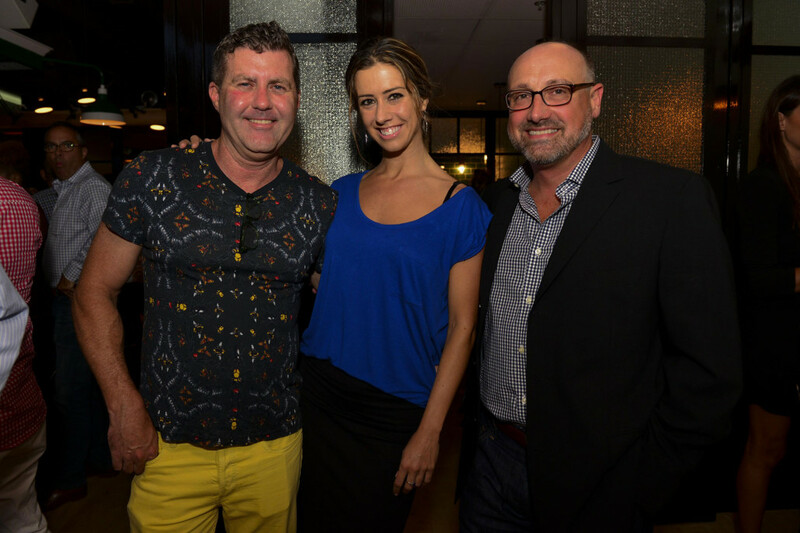 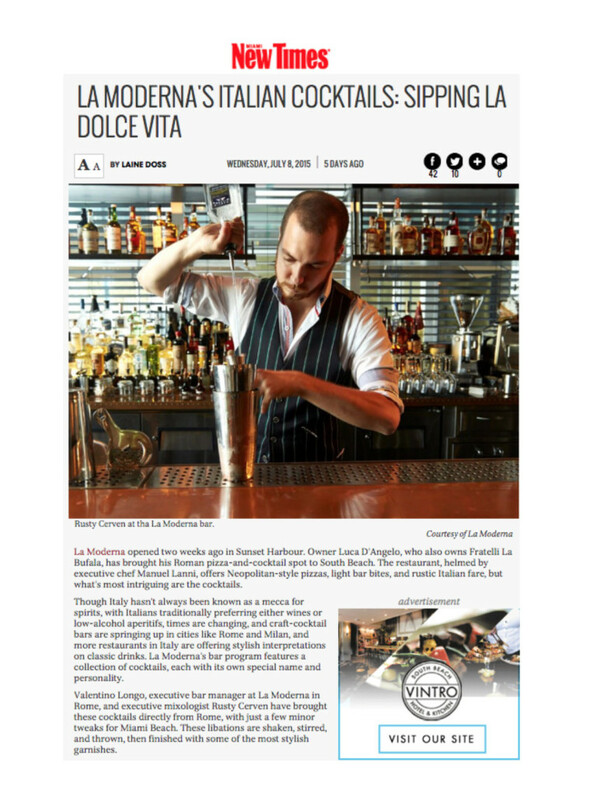 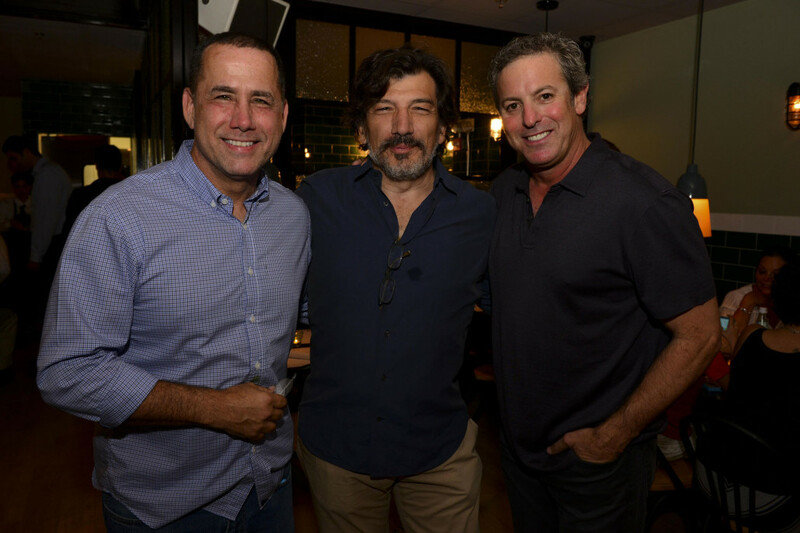 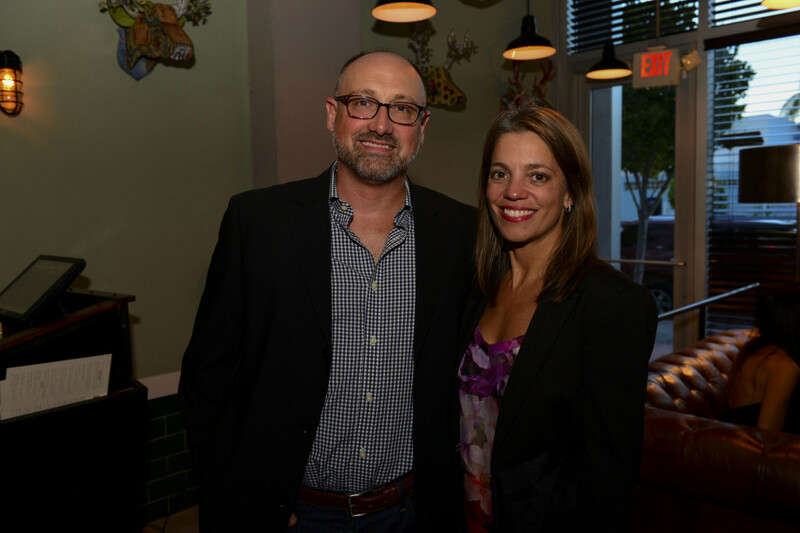 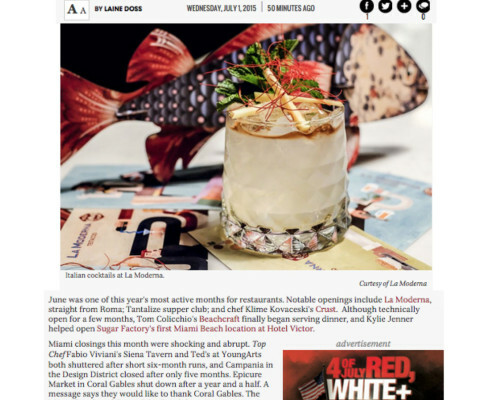 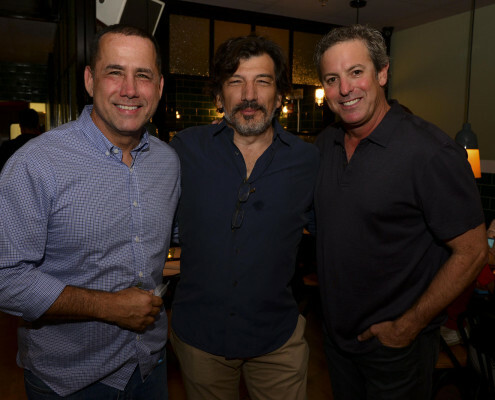 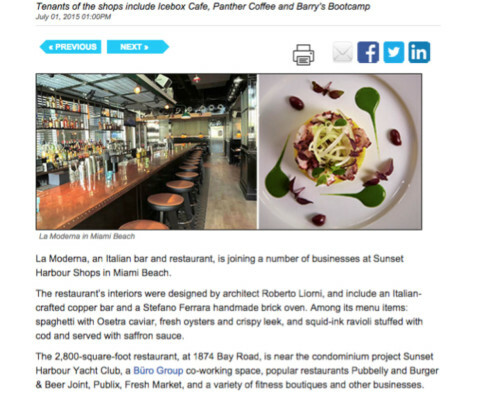 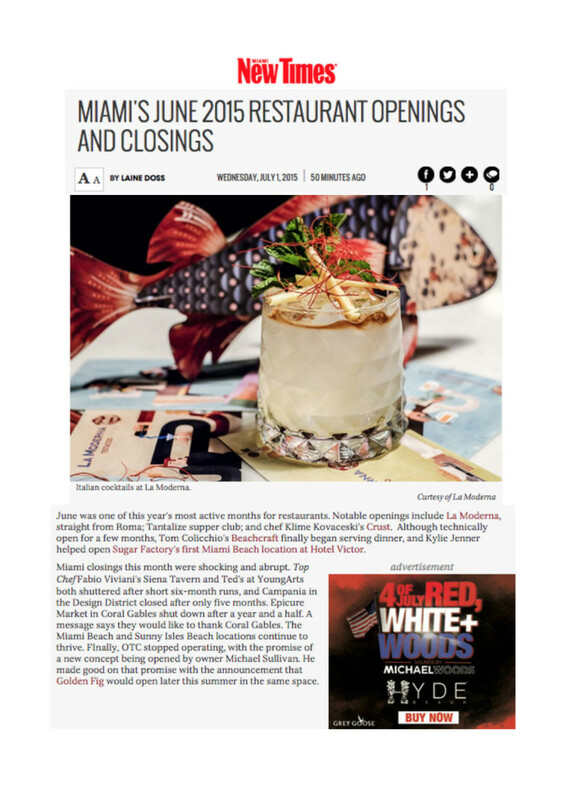 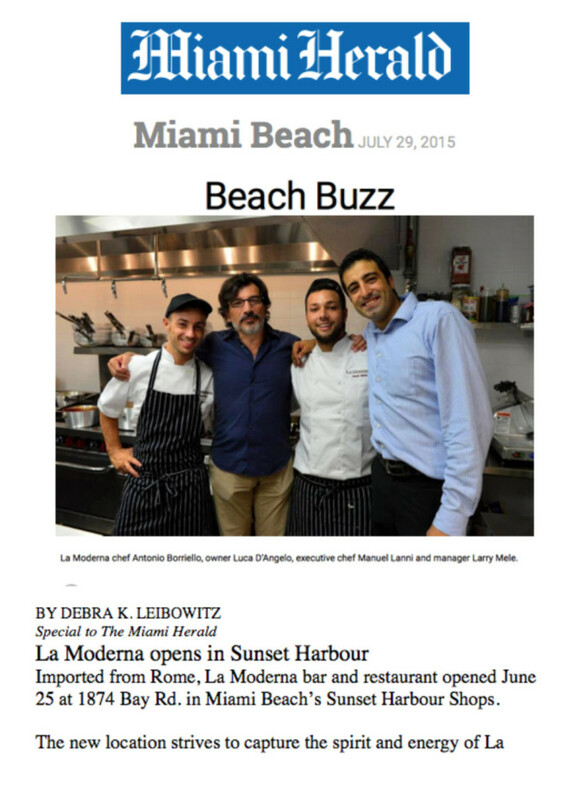 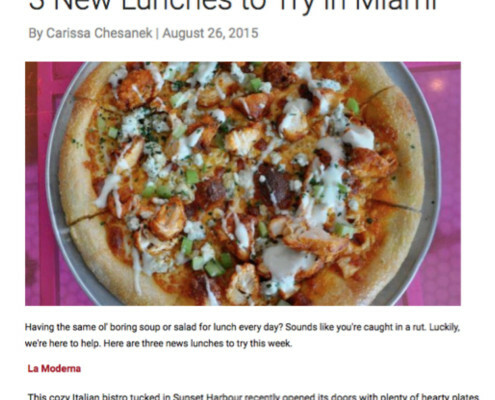 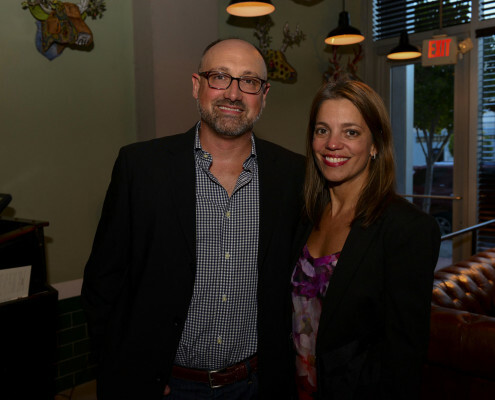 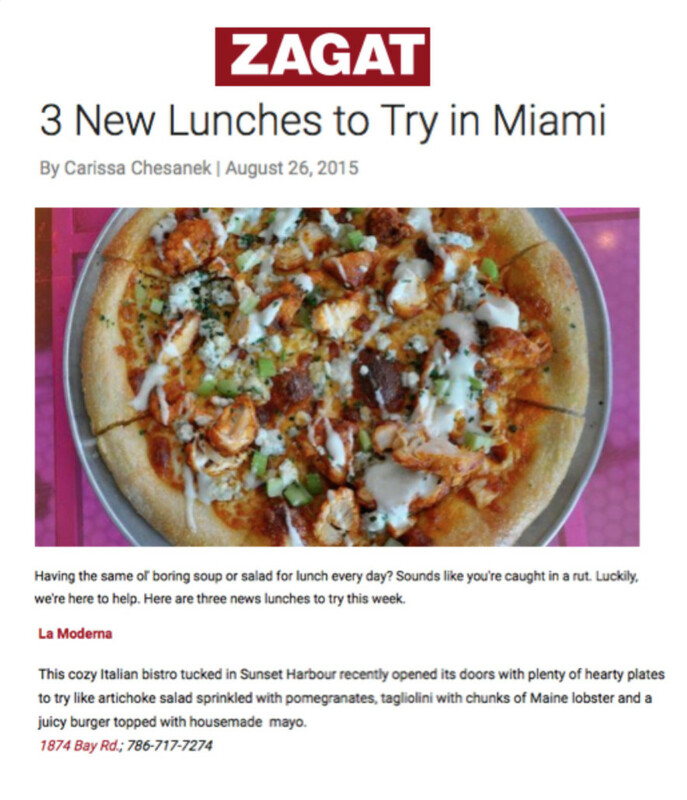 Although the owner had successfully owned and operated Fratelli La Bufala in Miami Beach since 2005, La Moderna was a distinctive, more modern restaurant and needed to be positioned as such and make inroads with the local market in the popular Sunset Harbour neighborhood. 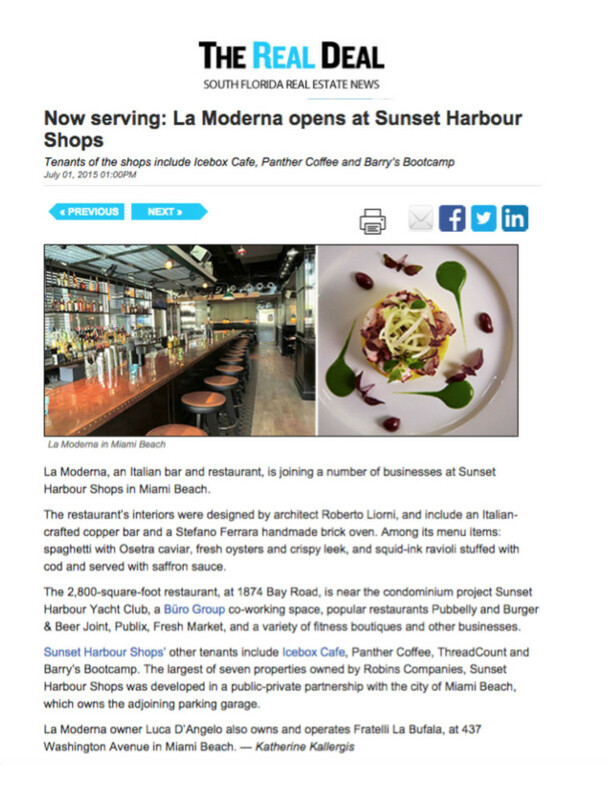 OBR designed and executed a comprehensive and launch within the media, generating all forms of media attention in every local channel available. 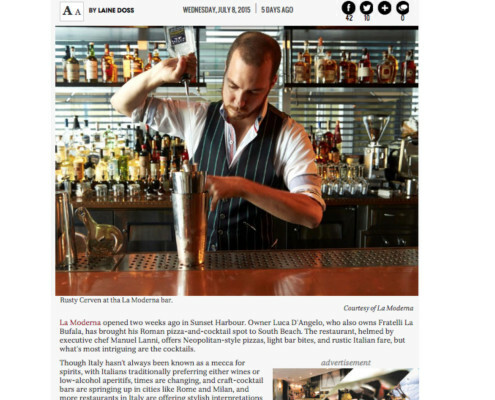 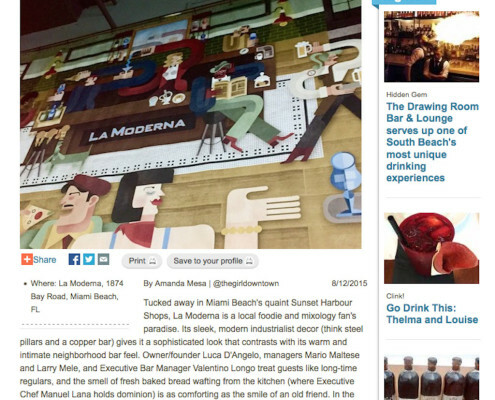 Maintaining the restaurant visibility has lead to significant trail and loyalty and has positioned La Moderna as a neighborhood favorite.